Shhh... it's a surprise! 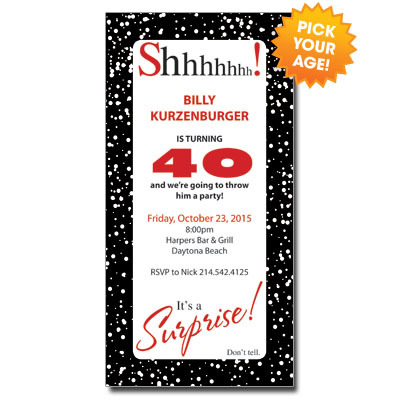 Share the word about the party in secret with this ironically bold card. Card measures 3.5x7.